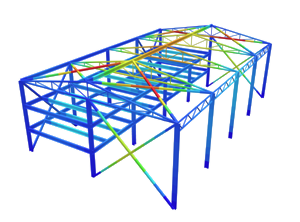 SkyCiv Cloud Structural Analysis Software – What is Reinforced Concrete? Reinforced Concrete is the common term given to a concrete member (or slab) that contains steel reinforcement (usually in the form of steel bars) to increase the strength of the structure. The material that results from the combination of concrete and reinforcing bars is called Reinforced Concrete (RC). During construction, the reinforcement steel is placed in the formwork first, either in the form of prefabricated steel cage or steel rebars that are fastened together and wired in-situ. Then concrete is poured in the formwork and vibrated using adequate devices so as to guarantee a high level of collaboration between the two materials. Why is Reinforcement in Concrete Important? One of the main disadvantages of concrete is its very low tensile strength that is practically exceeded at low levels of load. This results in cracking of the concrete surfaces that in turns leads to aesthetical problems (large deflection of beams or slabs) for the serviceability limit state as well as structural integrity problems at the ultimate limit state. On the other hand, reinforcing steel has rather high tensile strength and a symmetrical material constitutive law under tension and compression. However, a rebar alone that is subjected to compression fails prematurely due to buckling. For this reasons, use of reinforcement in a RC section leads to effective structural behaviour as reinforcing steel works effectively under tension and concrete works effectively under compression and confines the compression reinforcement. Figure 1 shows the Bending Moment Diagram of a continuous beam under vertical loads as well as the locations where reinforcing steel should be placed. 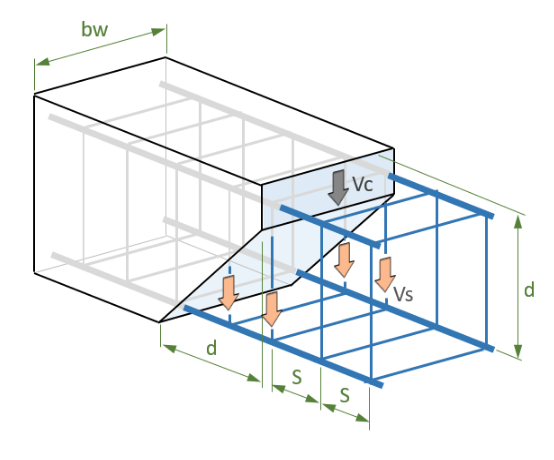 Figure 2: 3-span continuous beam under uniform loading: (a) Bending Moment Diagram and (b) Main reinforcement locations. It is important to note that the collaboration between concrete and reinforcing steel is facilitated by the fact that both materials have the same thermal expansion coefficient, which means that temperature variation does not cause additional internal stresses in the concrete-rebar interface. Where is Reinforced Concrete Used? Line-type members: such as beams, columns or piles. Under vertical loading plate-type members offer stiffness and strength in more than one direction within the member’s plan, while line- type members confer strength and stiffness primarily in one direction. What are some examples (cross sections) of RC? The cross sections of vertical linear members such as columns and piers have rather simple geometry (most often square, rectangular or circular – see Figure 2) dictated by the fact that these members must offer equal or similar resistance in all horizontal directions. Moreover, such geometric configurations lead to reduced costs related to formwork. The cross sections of beams used in building projects have commonly rectangular shape, while bridge girder cross sections have mainly I-shape so as to reduce weight and accommodate the placement of post-tensioning tendons. SkyCiv offers an easy to use reinforced concrete design software to help analyse and design reinforced concrete members. 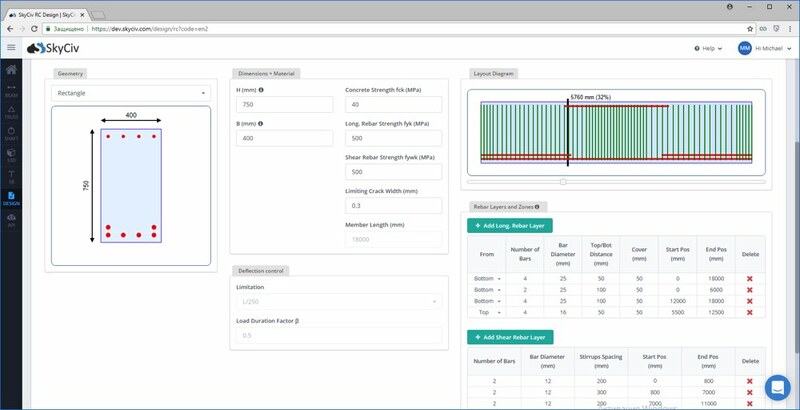 Using SkyCiv Beam Software, you can analyse the loads on the member, then design your concrete member using our Reinforced Concrete Design Software.